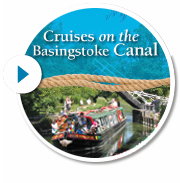 Joining the “200 Club” is one way you can help support financially the activities of The Basingstoke Canal Society, while also having a chance to get back more money than you donate. Each club “share” costs £12 per annum, and you can have as many shares as you want. There are 6 draws each year and prizes of £100, £50 and two of £25 (assuming 200 members) are awarded with each draw. The scheme is run by Don Barber, who can be contacted at 200Club@nullbasingstoke-canal.org.uk. To find out more about the scheme and to apply for membership, an application form with scheme rules can be downloaded here. Please Note: For legal reasons, the 200 Club is open to Society members only.